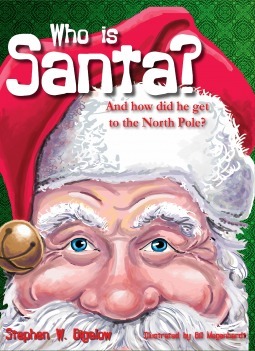 This is a wonderful book that should be read every Christmas. This is the telling of Santa’s story. It goes into his very beginnings of making toys, where he lived and why he moved to the North Pole. We learn how he met the elves and how they became such a big and important part of his life and his story. The only question that is not answered is whether or not he sleeps with his whiskers inside or outside of the covers. This is a very well written story. It was wonderful learning what keeps the elves going, why candy canes are red and white striped. This book can answer just about any question your child can come up with. I am very happy I was asked to read and review this book. The illustrations are beautiful. This is a story that should be shared year after year. It is to be enjoyed by young and old alike.